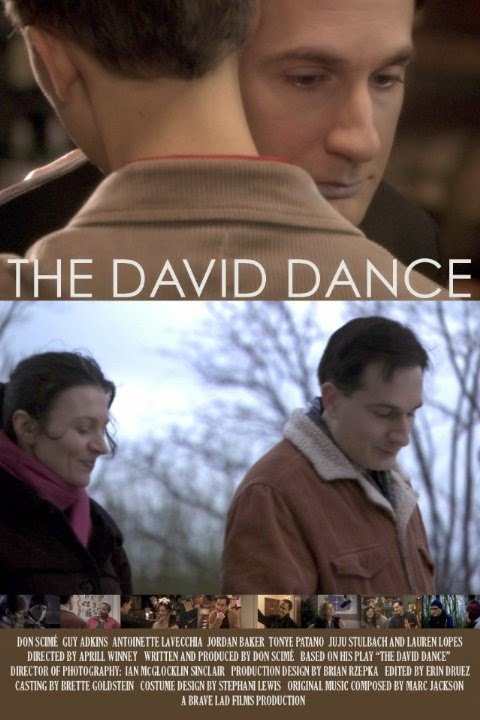 Set in a cold winter in Buffalo, New York “The David Dance” tells the story of siblings, David and Kate Patrone. David is the host of a local radio show called “Gay Talk”, which usually focuses on such breezy topics as “Body-Piercing: Fashion or Faux pas?” Kate is a thrice divorced banker with a yen for Schumann and cats. Though they are both successful in their own right, they share a secret inadequacy about themselves. Kate decides to adopt an orphan in Brazil and asks David to be the father figure. David grapples with his self doubts about this while courting an amiable technical assistant who also moonlights as drummer for an all-lesbian rock band. Told from present to past and back again, we experience the bittersweet life of a man as he struggles to pull its colorful pieces together.